AIIMS Bhopal Recruitment 2018 Notification is out. The Online Application Form starting date is 5th February 2018 (Monday 03:00 PM onwards) for 700 Senior Nursing Officer (Staff Nurse Grade-I), Nursing Officer (Staff Nurse Grade-II) posts. Applicants who ready to apply for Staff Nurse vacancies those submit their application form on or before the last date that is 6th March 2018. 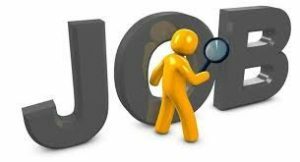 Before going to apply, the job seekers must know details about Education Qualification, Age Limit, Age Relaxation, Selection Process, Salary Details, Application Fee, How To Apply, etc from this page or the official AIIMS Bhopal Recruitment 2018 Notification because of these aspects very important to apply for the job. The officers of All India Institute of Medical Sciences Bhopal (AIIMS Bhopal) must check these aspects before accepting the application form. So candidates need to check carefully this article or the official AIIMS Bhopal Recruitment 2018 Notification for knowing more details about eligibility criteria. The officers of All India Institute of Medical Sciences Bhopal (AIIMS Bhopal) had issued AIIMS Bhopal Recruitment 2018 Notification for 700 Senior Nursing Officer (Staff Nurse Grade-I), Nursing Officer (Staff Nurse Grade-II) vacancies. In the recruitment notification, the authorities mentioned complete details about Education Qualification Experience in a detailed manner. Candidates who complete B.Sc (Hons.) Nursing/ B.Sc Nursing/ B.Sc. (Post-certificate)/ B.Sc. Nursing (Post Basic) from an Indian Nursing Council recognized Institute or University and also registered as Nurses/ Nurse/ Midwife in State/ Indian Nursing Council those are eligible for these posts. In the below section, we had detailed explained each and every aspect in a detailed manner. So aspirants go through the complete article and gather entire details about AIIMS Bhopal Recruitment 2018 Notification from this page or the official web portal of the All India Institute of Medical Sciences Bhopal (AIIMS Bhopal). Candidates who belong to SC/ ST/ PWD/ Woman those don’t pay the Application Fee for AIIMS Bhopal Recruitment 2018 Notification of Senior Nursing Officer (Staff Nurse Grade-I), Nursing Officer (Staff Nurse Grade-II) posts. Remaining applicants pay the application fee of Rs. 1000/- before 6th March 2018 is the last date for submitting the application form as well as pay the application fee. Applicants age limit lies between 21 to 35 years for Senior Nursing Officer (Staff Nurse Grade-I) post and 21 to 30 years for Nursing Officer (Staff Nurse Grade-II) post. The Age Relaxation is also different for two posts as per norms of AIIMS Bhopal/ Government of India. Contenders who want to know more details about this article those scroll down the article because, in the below sections, we had clearly explained each every aspect of AIIMS Bhopal Recruitment 2018 Notification. Applicants who ready to apply for AIIMS Bhopal Recruitment 2018 Notification of Senior Nursing Officer (Staff Nurse Grade-I), Nursing Officer (Staff Nurse Grade-II) posts those need to face the two level of the selection process that is Computer Based Test and Skill Test/ Proficiency Test. After completion of the selection process, the officers of All India Institute of Medical Sciences Bhopal (AIIMS Bhopal) display the Result on their official web page. Candidates who get the job in All India Institute of Medical Sciences Bhopal (AIIMS Bhopal) those take a good remuneration from the officers. So applicants don’t lose this opportunity and apply for AIIMS Bhopal Recruitment 2018 Notification before the due date. We will update our web page Sarkari Naukri with latest details about Written Exam Date, Admit Card Details, Result, etc as soon as possible. So participants stay tuned to our web page or the official web portal of the All India Institute of Medical Sciences Bhopal (AIIMS Bhopal) for knowing the latest updates about this article. Aspirants must have to pass B.Sc (Hons.) Nursing/ B.Sc Nursing/ B.Sc. (Post-certificate)/ B.Sc. Nursing (Post Basic) from an Indian Nursing Council recognized Institute or University and also registered as Nurses/ Nurse/ Midwife in State/ Indian Nursing Council along with 2 to 3 years experience. The Age Limit is different for Senior Nursing Officer (Staff Nurse Grade-I), Nursing Officer (Staff Nurse Grade-II) posts. The Age Relaxation is applicable as per Government of India Rules. The selection process having two round mainly to select candidates for Senior Nursing Officer (Staff Nurse Grade-I), Nursing Officer (Staff Nurse Grade-II) posts. The Application Fee is Rs. 1000/- for General applicants. There is no Application Fee for SC/ ST/ PWD/ Woman candidates. Visit All India Institute of Medical Sciences Bhopal (AIIMS Bhopal) official web portal @ aiimsbhopal.edu.in. Search for AIIMS Bhopal Recruitment 2018 Notification for Staff Nurse vacancies on the home page. After finding the Notification link, aspirants hit the link and read the Advertisement carefully. Candidates who are eligible for Staff Nurse posts those need to click on the Online Application Form. Enter complete details on the Application Form and submit the application form before the last date. Before going to submit the application form once again recheck the details that are mentioned on the Application Form. Aspirants who want to know AIIMS Bhopal Result 2018 after completion of the Written Exam those need to associate with सरकारी रिजल्ट on our web page and also check the official web portal of the All India Institute of Medical Sciences Bhopal (AIIMS Bhopal).